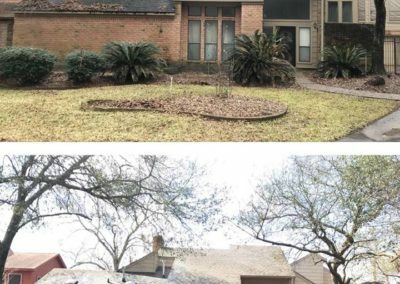 Does Your Roof Have the “Uglies”? 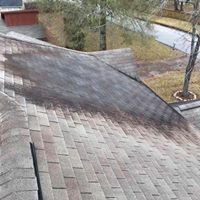 Did you know that a damaging bacteria, Gloeocapsa Magma, feeds on your roof’s shingles and causes those ugly black streaks? 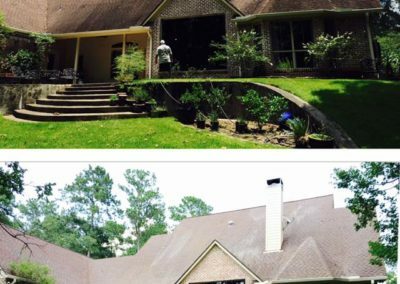 Plus, your roof can become an eyesore from algae, dirt, bird droppings, and other pollutants. 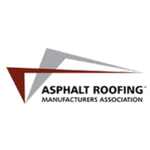 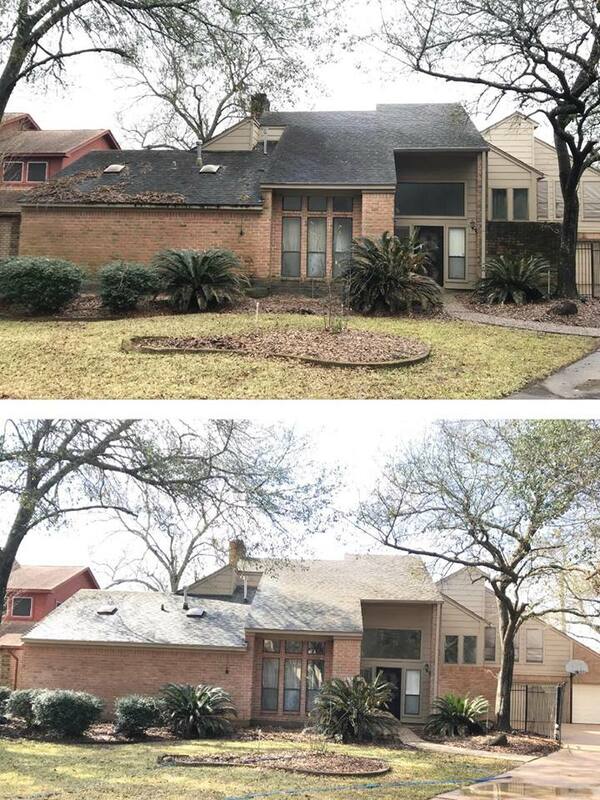 A roof replacement is a major investment. 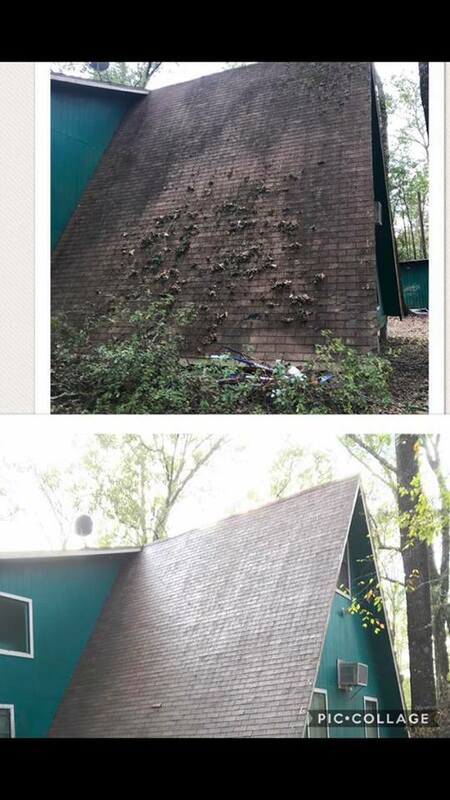 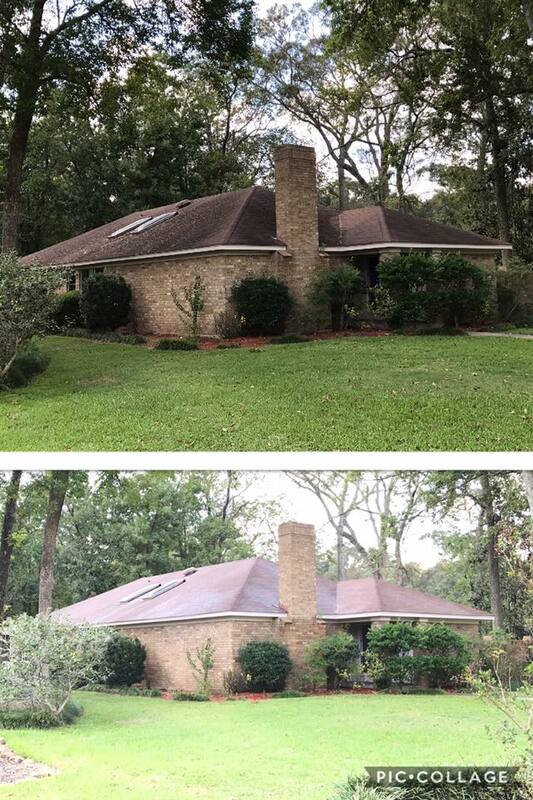 Don’t rush to replace that roof before calling us! 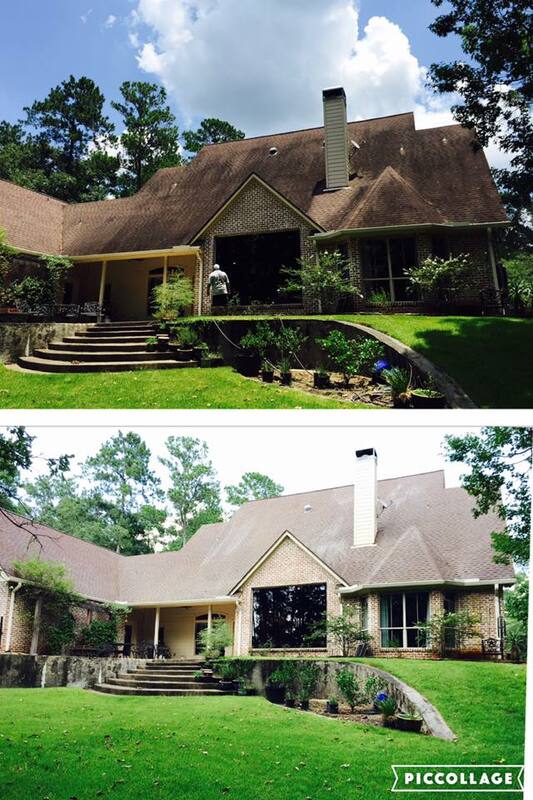 We can clean and restore its beauty with our expert cleaning processes. 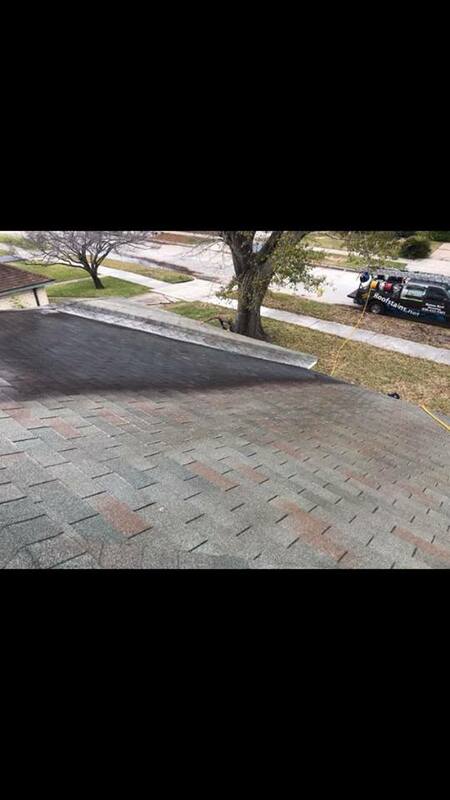 We do a special detergent soft wash with little or no walking on your roof. 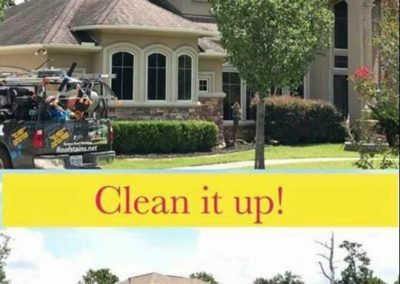 Our special sprayer can even be used as needed from ground-level. 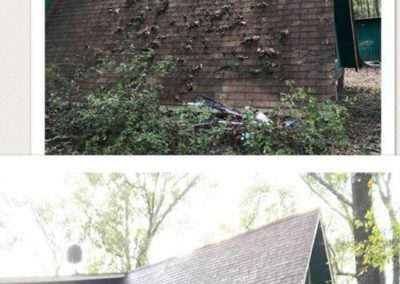 Do NOT let a pressure washer walk heavily on your roof! 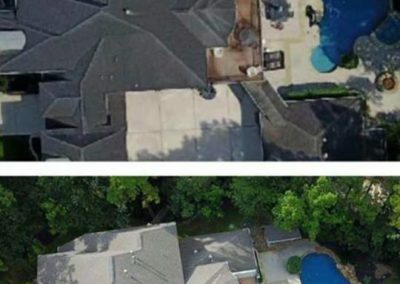 We are committed to causing no damage and will be on your roof only as absolutely necessary. 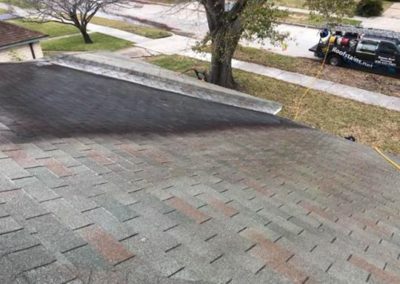 Other roof cleaners who do not use chemicals (like sodium hypochlorite) are using high pressure and are removing shingle granules, drastically reducing the lifespan of your roof, and voiding your roof warranty. 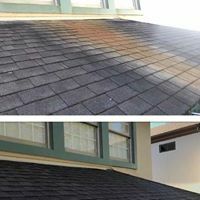 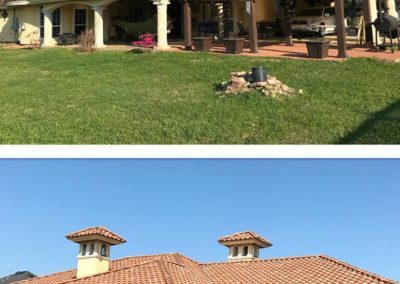 Roman Roof Cleaning will give you same-day, beautiful results, increasing the longevity of your roof PLUS increasing the home or business value. 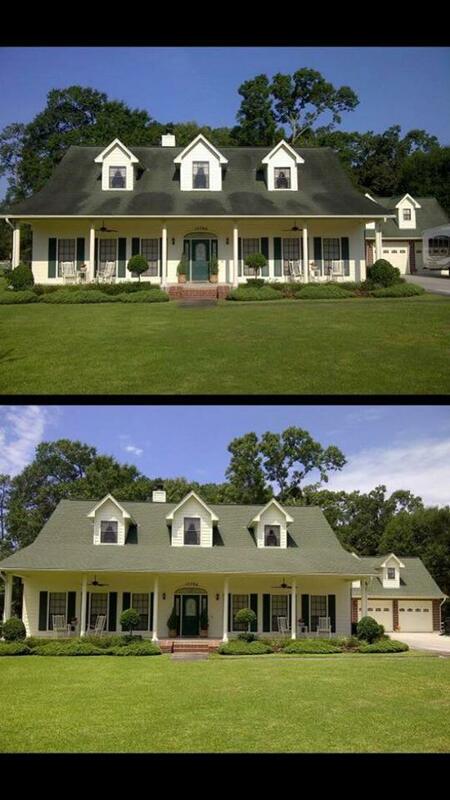 You’ll feel pride in your curb appeal when we’re done! 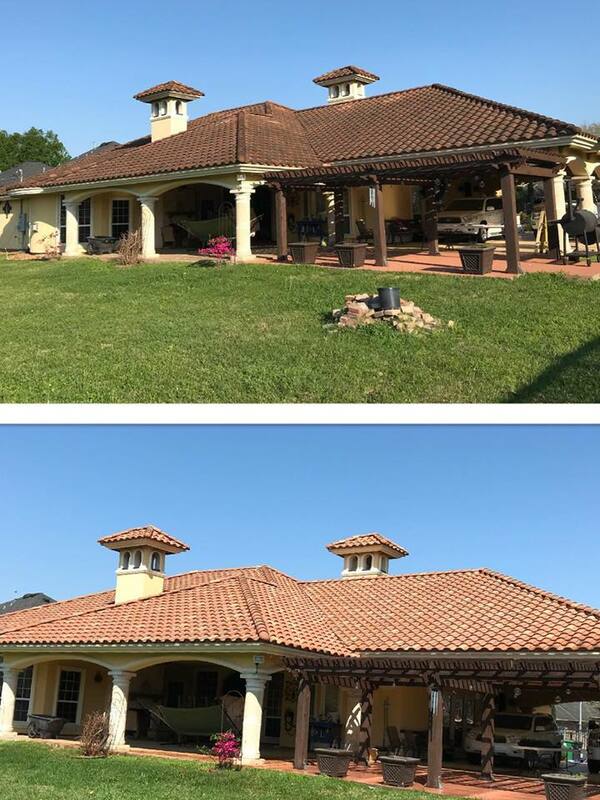 Our cleaning methods are approved by shingle, tile, metal and slate roof manufacturers. 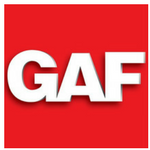 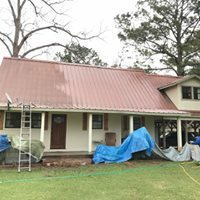 We also cover your gutter downspouts and landscaping with tarps for extra protection. 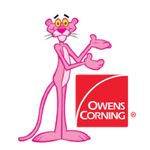 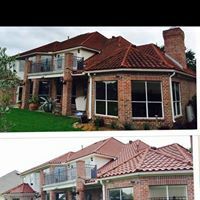 Our e co-friendly processes are safe for you, your children and pets and make your home look top-notch. 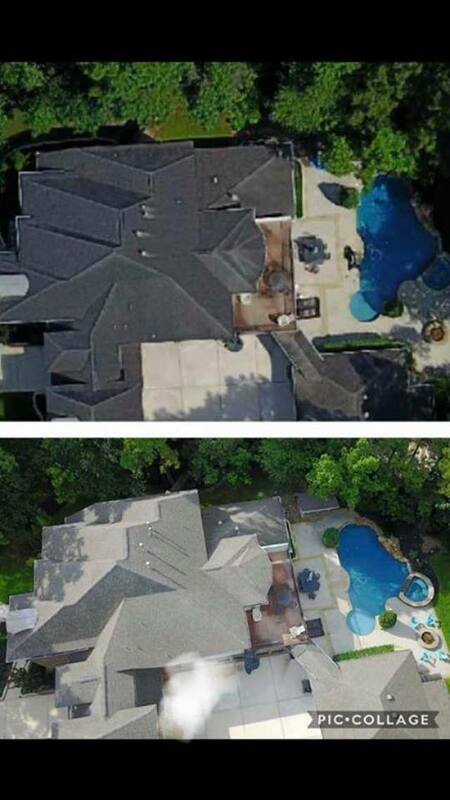 Our non-pressure, detergent-based roof cleaning is covered by a 100% satisfaction guarantee. 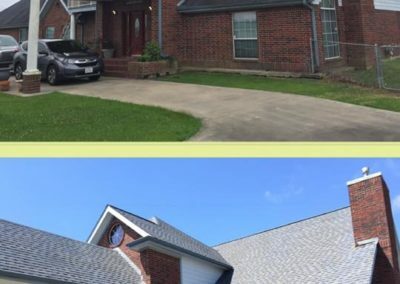 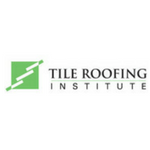 We have a computerized estimating tool that allows us to measure your roof with great precision, for the most accurate quotes possible. 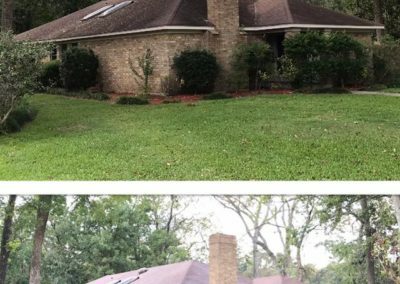 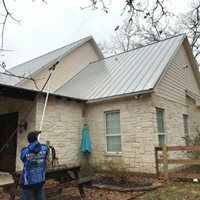 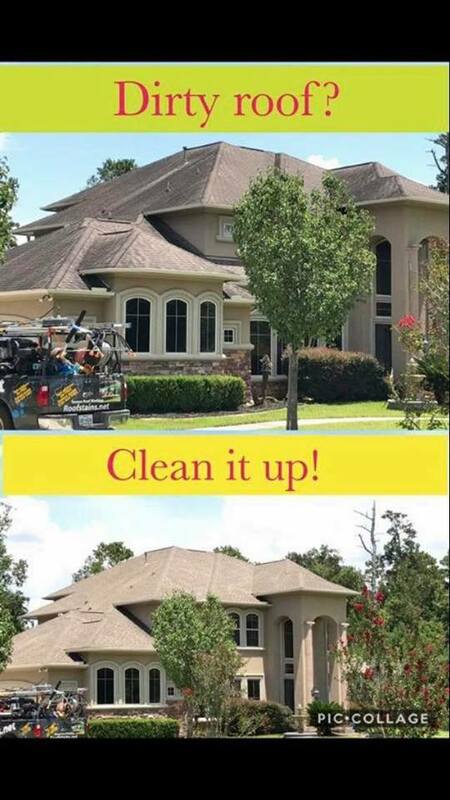 We can clean a roof from the ground!!! 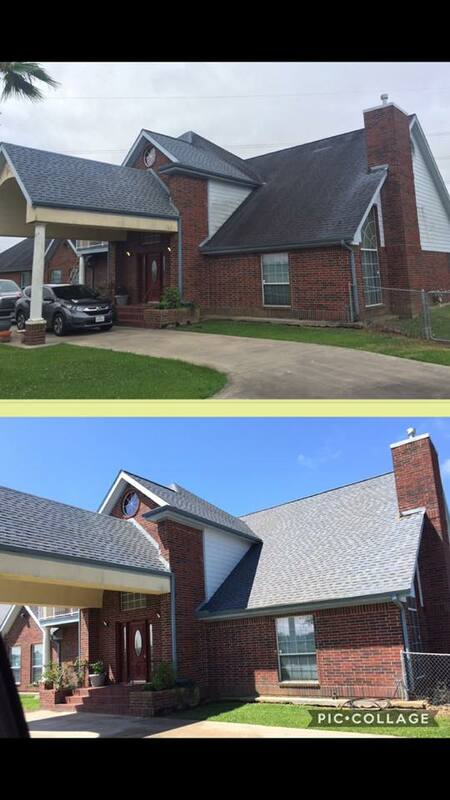 !If you don't believe me just watch :)Roman roof washingCall , text or pm address for instant quote! 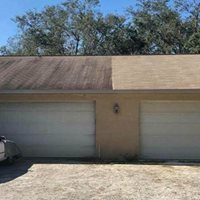 936-433-1401Roofstains.netI can quote from my computer! 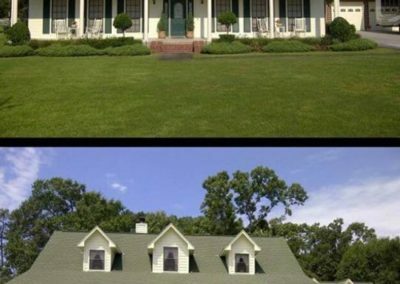 So I don't have to come bother you at home! 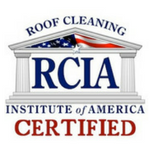 Roman Roof Cleaning has serviced hundreds of home and business owners. 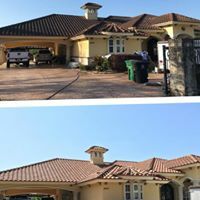 We restore shingle, tile, metal and slate roofs to look beautiful again. 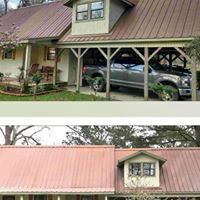 Click on images in the Gallery below to see larger versions of the amazing results.